I often see the number 444. My prayer is to leave a spiritual legacy of eternal fruit carried forward by others until the Lord’s return. Isaiah 44:3-4 confirms the promise to me that in God’s faithfulness, He will pour His Spirit upon our seed and a blessing upon our offspring, “And they shall spring up as among the grass, as willows by the water courses” (Is. 44:4). I am always asking the Lord for direction with confirmation. When I see the numbers 123, God is conveying that I am moving forward in the right direction and this delights the Lord“For the steps of a righteous man are ordered by the Lord. And He delights in His way” (Psalms 37:23). The number four in this series of 1234, means to me moving forward with creativity. 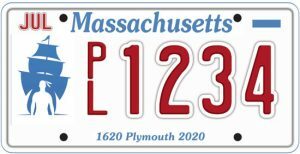 When I see the number 321, it often means that I need to backtrack to where God last spoke to me for further clarification before moving forward. The late Prophet Jones use to say that the number 341 confirmed he was on track with God and that God would be in it. Seeing the number 341 tells me that God is not only going with me, but also His manifest presence as well. Like Moses who requested God to show him His ways, I want God to reveal His ways to me that I may know Him and find grace in His sight. In response to Moses request, the Lord said “My presence shall go with you and I will give you rest. ” (Exodus 33:13-14). His presence is everything. God often will make a combination of numbers that have a specific meaning that is unique to you or for a specific situation. For instance, when I see the number 911, I am reminded of our Davidic passion noted in Amos 9:11 – the promise of the Lord to build up and restore of the Tabernacle of David (House of Worship) that has fallen (See also Acts 15:16). As another example a few years ago during our ministry expansion I began to see the number 541, meaning God’s promise was to bring five new people together for one purpose – His. The number 4 in this case means “for” which is a pun on words. God has a sense of humor and loves to interact with His children. 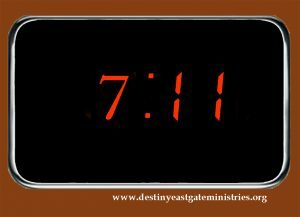 When I see the number 7, I am reminded to cease from my own self, anxieties, works, etc., to enter into God’s rest (Genesis 2:2, Hebrews 4:9-11). My rest is in the finished work of Christ who won the victory at Calvary. In Him, I am victorious. About 5 years ago, I began to purchase penny stocks listed on the New York Stock Exchange (NYSE). After opening my account, the first stock I saw highlighted by the Lord was selling for $1.11. It soon went to $1.68. I found numbers to be one way the Lord speaks to me about a particular stock, either to buy or to sell. Recently a stock I purchased for .0002, the Lord shared it would climb to .0022, which it did. When purchasing a stock I often see, (inner vision) the number of stocks I am to purchase. For instance, believing the number I saw was of the Lord, I purchased 11,111 shares of a particular stock. I am now working on purchasing 22, 222,222 of another stock. You can buy thousands, even millions of shares of a penny stock for a few hundred dollars, such as a mining exploration company like LibertyStar (LBSR). Disclaimer:Prayer, patience and prophetic insight with confirmation are required before making a major move in your life in any direction. God often reveals His thoughts through Scriptures that is in “code” form. As you see random numbers and seek to find the appropriate Scripture and connect them together, you will find God revealing to the Church the passion of His heart. The following Scriptures are a snap shot of tidbits I gathered over time: together they reveal what God is doing in this hour. Please read the scriptures below, and see what God is revealing to you and how this may apply to your life. Romans 1:11 – The impartation of spiritual gifts to establish His people. 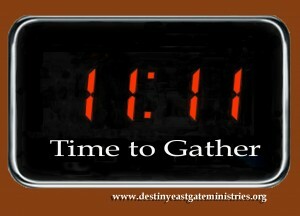 Deuteronomy 1:11- Multiplication, God promise, the Covenant of Abraham, God’s blessing of prosperity with major increase. Deuteronomy 11:1 – The pathway to fulfilling God’s promise – that of love. Deuteronomy 11:11 – The land God has given to us, both the hills and valleys we possess drinks the water of the rain of heaven – His anointed Word (See Is. 55:11, the number 5 stands for grace, and 55 – great grace). Isaiah 11:11- God’s hand will move the second time to recover the remnant of His people –speaks of the hand of God moving for redemption and restoration the time to gather- harvest. Joel 2:2- in the midst of great darkness, an army that is strong in the Lord, will arise (See also Is. 60:1-3). Ephesians 22:2 – The formation of God’s Temple, the people of God for a habitation of His Spirit. Revelation 22:2 – The water of life (see 22:1) from heaven for healing of the nations. Ezekiel 44:4 – The vision of the Glory of God filling His house – the Church. Isaiah 44:4 – The promise of blessings upon your offspring (Is. 59:21, Acts 3:25). As you can see, God often speaks through Scripture as a code that requires diligences to seek the mind of God for the interpretation and it’s application for your life, the Church and the times we are in. God doesn’t hide things from us, but for us. It is written that if you will cry after knowledge, and apply your ear to hear wisdom and your heart to understanding, and seek her like silver and search to hear His words as you would for hidden treasure, you will find the knowledge of the Lord, “For the Lord gives wisdom: out of His mouth comes knowledge and understanding” (See Proverbs 21-7). What numbers are you seeing? You are now on the greatest treasure that will reveal golden nuggets of His truth and understanding – the Wisdom of God that is more precious than gold and silver that leads to the path the path of life with prosperity. For you will show me the path of life: in your presence is fullness of joy: at your right hand there are pleasures for evermore (Psalms 15:11).